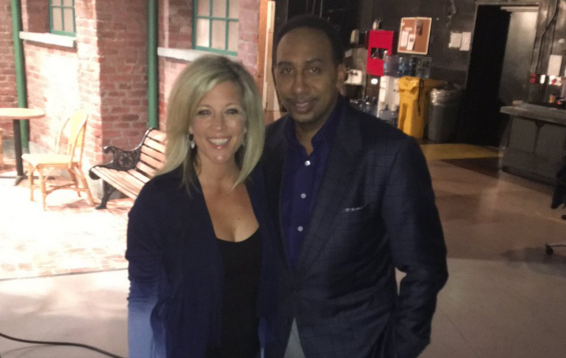 Stephen A. Smith tweeted a photo with GH star Laura Wright on Monday. "Damn, I'm a lucky man," he wrote. "On the set of @GeneralHospital right now and look who decided to take a pic with Me?#Haaaaa!!" Stephen A. Smith, co-host of ESPN2's First Take will be making another appearance on his favorite soap opera, ABC's General Hopsital. GH star Maurice Benard (Sonny Corinthos) posted a video with Smith on Monday, with the following caption: "I had the best time working with @stephenasmith today. He's truly a natural. Not Denzel yet, but getting there." Watch below.